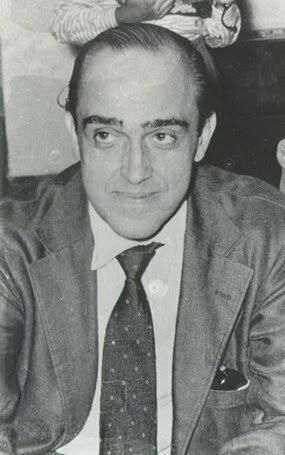 Oscar Ribeiro de Almeida Niemeyer Soares Filho (born December 15, 1907) is a Brazilian architect who is considered one of the most important names in international modern architecture. He was a pioneer in exploring the formal possibilities of reinforced concrete solely for their aesthetic impact. His buildings are often characterized by being spacious and exposed, mixing volumes and empty space to create unconventional patterns and often propped up by pilotis. Both lauded and criticized for being a “sculptor of monuments” , he has been praised for being a great artist and one of the greatest architects of his generation by his supporters. Among his numerous famous works there are the many public buildings he designed for the city of Brasília, a UNESCO World Heritage Site, The United Nations Headquarters in New York City (with others), etc. “ Not the straight angle that attracts me, nor straight, hard, inflexible, created by man. What attracts me is the free and sensual curve, the curves that find in the mountains of my country, in the course of its winding rivers, the sea waves, the body of the woman preferred. Curves is done throughout the universe, the universe of Einstein’s curved. Oscar Niemeyer was born in the city of Rio de Janeiro in 1907 in Laranjeiras neighbourhood, on a street that later would receive the name of his grandfather Ribeiro de Almeida. He spent his youth as a typical young Carioca of the time: bohemian and relatively unconcerned with his future. He concluded his secondary education at age 21. The same year, he married Annita Baldo, daughter of Italian immigrants from Padua. Marriage gave him a sense of responsibility: he decided to work and enter university. He started to work in his father’s typography house and entered the Escola de Belas Artes (Brazil), from which he graduated as engineer architect in 1934. At the time he had financial difficulties but decided to work without fee anyway, in the architecture studio of Lúcio Costa and Carlos Leão. He felt dissatisfied with the architecture that he saw in the streets and believed he could find a career there.